Stop Trump’s Assault on Whales And Dolphins! The Trump administration just gave fossil fuel companies the green light to explore for oil and gas off our Atlantic coast using deafening seismic airguns — which will cause senseless harm to thousands of whales, dolphins, and other marine mammals, including endangered species like the North Atlantic right whale. At the same time, Congress is considering bad legislation that would slash critical protections for majestic ocean wildlife when we need them more than ever. But, there’s also major bipartisan support for strong legislation that would help keep the Atlantic coast off-limits to destructive seismic exploration. 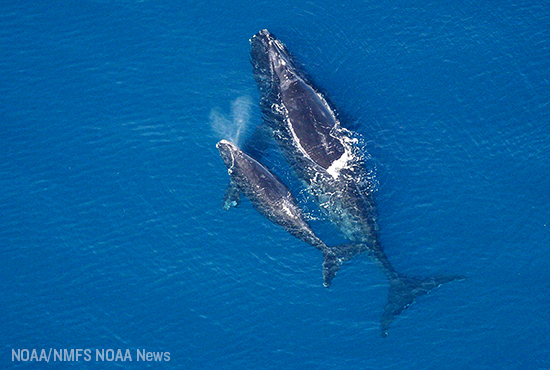 Tell your senators and representative to stand strong against Trump’s giveaway to Big Oil by opposing any attempts to expand seismic oil and gas exploration in the Atlantic — and push for strong legislation to protect our cherished coastline and save whales! The Trump administration just gave fossil fuel companies the green light to explore for oil and gas off our Atlantic coast using deafening seismic airguns that harm marine mammals.Tell your senators and representative to stand strong against Trump’s giveaway to Big Oil by opposing any attempts to expand seismic oil and gas exploration in the Atlantic — and push for strong legislation to protect our cherished coastline and save whales! I am outraged by the Trump administration's recent decision to allow oil and gas exploration off the Atlantic coast using deafening seismic airguns. Please oppose any legislation that would make it easier for fossil fuel companies to fast-track seismic oil and gas exploration off our Atlantic coast, and support any bills that would block destructive seismic exploration along our cherished coastline. The blasts from seismic airguns will deafen, injure, and kill whales, dolphins, seals, manatees, and other ocean wildlife, and would help drive the critically endangered North Atlantic right whale to extinction. Expanding oil and gas exploration off the East Coast would also generate more of the dangerous carbon pollution that chokes our air and makes climate change worse. Please don't let the Trump administration give another handout to fossil fuel companies at the expense of our oceans and marine wildlife. I urge you to do your part to protect our coast and our climate by fighting to block seismic oil and gas exploration in the Atlantic at all costs. Thank you.